While glucose levels are the primary concern that diabetics face, it is also necessary to treat other aspects of the disease with diet. For example, diabetes can lead to high acidity levels in the blood, so it is necessary to eat foods that contain alkaline compounds that will mitigate the acidity. Also, since many pancreatic digestive enzymes are not produced in abundance by diabetics, it is important to supplement these natural enzymes with sources in your diet. Mild forms of diabetes can be controlled completely with proper attention to diet and exercise and it can be possible to slow the advance of the disease by following a few simple dietary rules. Nutrition and diabetes combined can help control your blood sugar levels. Contrary to popular opinion, it is not necessary to eat a bland, tasteless diet to effectively control and treat type 2 diabetes. Many of your favorite foods can still be enjoyed on a controlled diet, though changes may have to be made to some ingredients and, of course, moderation must be strictly enforced. There are a few basic rules that diabetics should follow to ensure that their diet stays within the required limits. The first rule of good diabetic eating is to remain vigilantly aware of everything that goes into the foods that you eat. 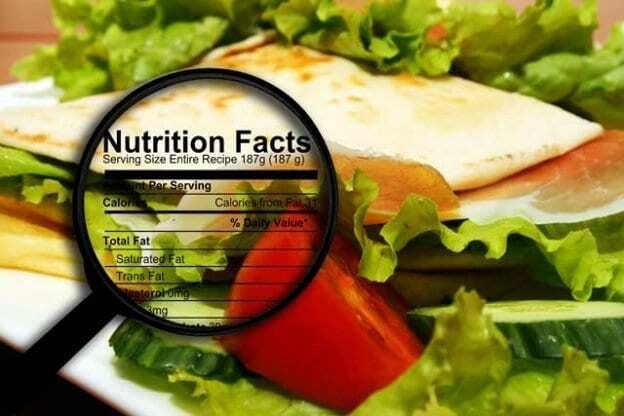 Many prepared foods will have hidden carbohydrates that you must carefully research on the label. Remember that much of what you eat can be converted into sugar by your body, so vigilance is key. Diabetics frequently suffer from high acidity levels due to the sluggishness of their metabolism. One way to combat this condition (acidosis) is to eat a diet that is rich in alkaline enhancing foods. This means that diabetics should eat a diet rich in whole grains and vegetables to keep the body’s acid to alkaline mixture at optimum levels. Unprocessed carbohydrates are an essential part of diabetic nutrition. White sugar and white flour, along with other processed carbohydrates, are absorbed very quickly and require the quick release of substantial amounts of insulin by the pancreas in order to handle the load. Unprocessed carbohydrates, on the other hand, are absorbed much more slowly and require a much more gentle release of insulin. Therefore, it is important to eat a high proportion of whole grains, fruits, and vegetables, and keep the amount of processed carbohydrates in your diet to a minimum. Another key to good diabetic nutrition is to eat slowly and chew your food well. This slows the processing of the foods. By chewing food well, you can allow the enzymes in your saliva to begin processing the foods immediately, thereby stretching the processing time and smoothing the carbohydrate curve. Pancreatic enzymes are in short supply in diabetics, so it is important to eat foods that contain natural sources of pancreatic enzymes. Most raw fruits and vegetables contain the enzymes necessary to properly digest, though many of these enzymes are destroyed by cooking. Therefore your diet should consist of a high amount of uncooked fruits and vegetables. These are just a few of the most basic rules of diabetic nutrition. You should always carefully consult with your physician or dietician when you are considering altering your diet. No two people have the exact same metabolism, so your diet should be tailored to your own unique needs and requirements. By remaining vigilant with regards to your diet, you can slow the progress of the disease and reduce or even possibly eliminate your dependence on insulin supplements, depending on the type and severity of your disease. Find a nutritionist by searching in your area here.